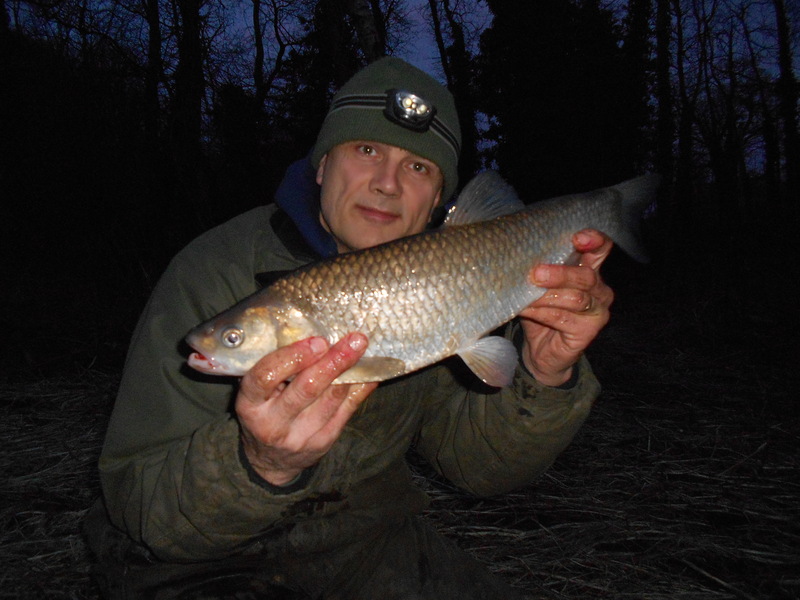 If you are a regular reader of my Angling Journal then you’ll know that last week I did some chub fishing on the canal. You’ll also have read that I got broke twice by carp. Now many anglers would just write that off as one of those things; after all it happens to all of us when we hook something bigger than our gear can cope with. But for me, my thinking was coming from another direction. As an angler I love carp fishing my local canal, and what I had discovered in effect was another stretch to have a go at. 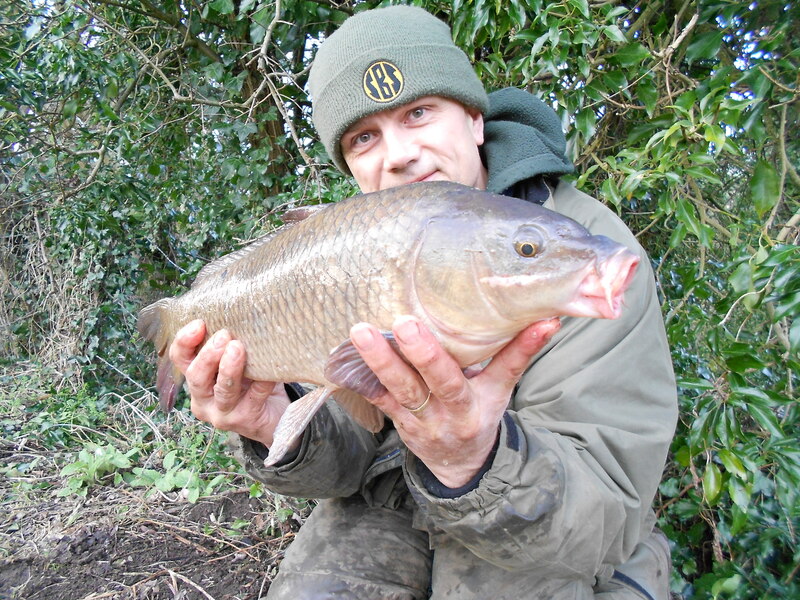 The carp I target are pretty elusive at the best of times and I’d found at least another two! With the mild weather continuing, I couldn’t wait to get back out for them. Although I would eventually settle on a more modern way of fishing for them, I had a day session first with one rod and legered bread on the bottom. 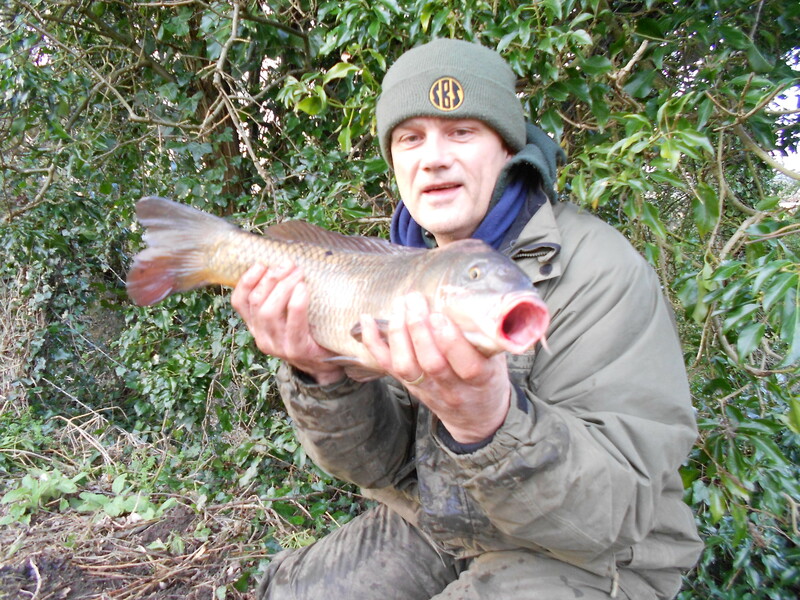 Of course other fish, namely chub and bream, took a fancy to the white lump on a size 4 hook. But I also netted a common as well. Knowing that the fish aren’t going to hit the monster stage I tamed it on a barbel quiver tip rod as well. Great fun. But once the fun was over it was down to more serious business. But still as much fun, I’m sure you know what I mean! Boilie, hair rig and pod time – and I can imagine some of you saying ‘Why don’t you stick with the other approach, it’s definitely more enjoyable’. Well of course, it’s all subjective. Plus, although I had lost a couple of fish while chub fishing before catching the third, I know really that I was over-performing. The carp aren’t wall-to-wall, I had just managed to get amongst three of them, that’s all. And I do like to be focused so would rather get just one carp by design as opposed to loads of chub and bream when I’m not after them. Although you’ll never be able to eliminate other species entirely. 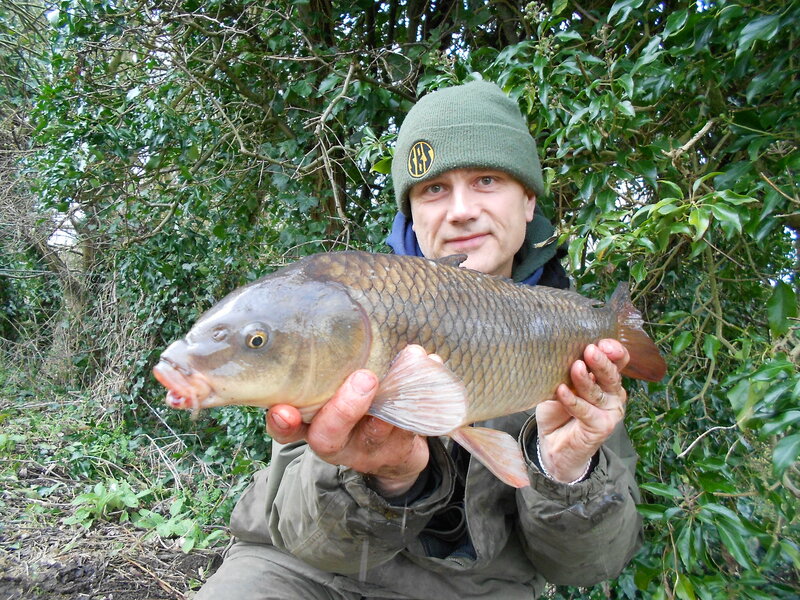 My first carp session ‘proper’ saw me fishing with M2 14mm pop-ups. When I first got involved with SBS it was back in the days when it was run by Des Taylor in Kidderminster. Looking through the boilie range it was that particular one that caught my eye. And it’s certainly lived up to the faith I’ve put in it as I’ve had plenty of fish on it since. But the reality is there’s no such thing as a wonder-bait, and on this session I blanked. I suppose I should say blanked for carp really though as I did get a chub take a fancy to the little red ball suspended a couple of inches off the bottom. 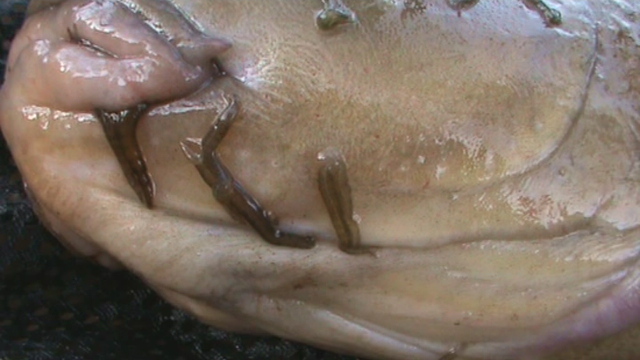 In fact I am going to have at least one boilie session after the big canal chub soon, so as they say – watch this space. 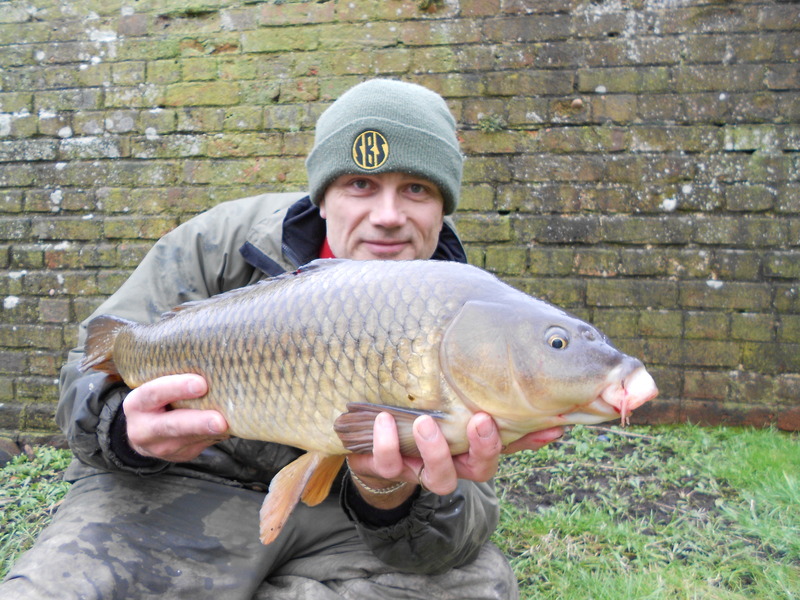 The featured session in the accompanying video was my next outing on the bank. A slight change of plan due to a duck shoot on another lake saw me having to switch venues. But with it only being a few miles down the road, it was just a delay as opposed to an inconvenience. There are some decent carp in there but it has a reputation as a tough venue. 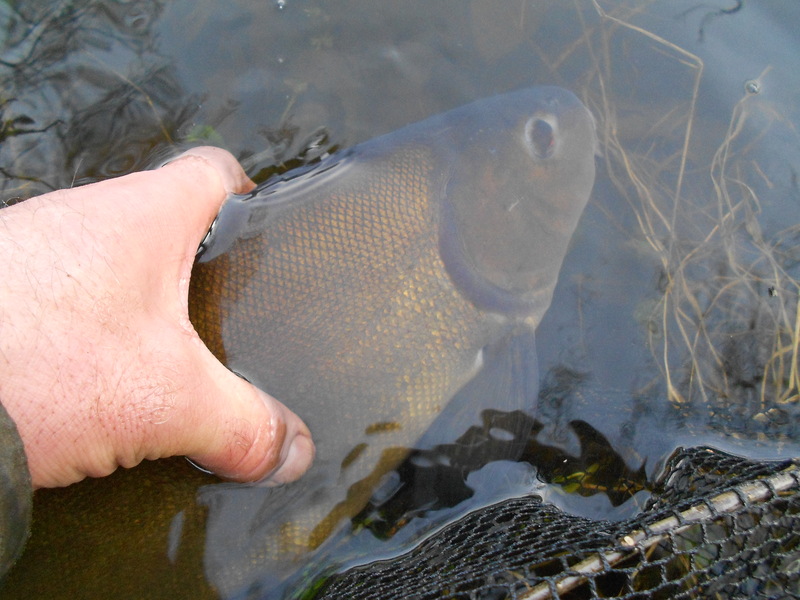 I’ve only carp fished it a handful of times and while I’ve never caught one, I have had a few tench along the way. And that was my only fish, caught on 3x corn-shaped popper boilies. It was covered in leeches; the recent extremely cold weather meant its lack of activity as it settled on the bottom had made it a magnet for them. One of the big advantages of having your rods all made up is that you’re always ready to go. So with just a few hours late afternoon free I decided to get back on the canal and see if I could bank another carp. I didn’t blank but my target species eluded me. 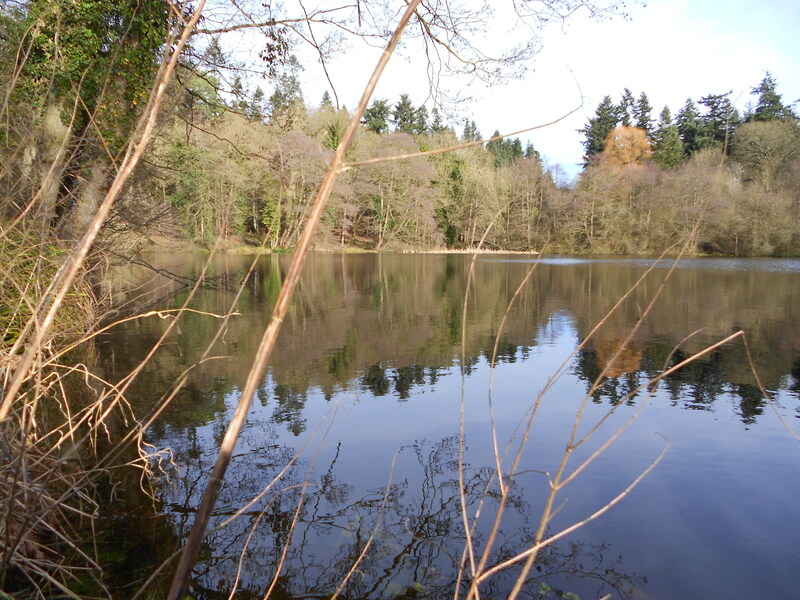 The water temperature was 5.8C, reflecting the fact that the mild spell was just holding on. But with overnight lows now into minus, I wanted to pursue the canal carp for one more time before I switched to chub as my target species. So on the last day of the mild spell, before the temperature was predicted to fall sharply, I had an early start that saw me on the bank at first light. 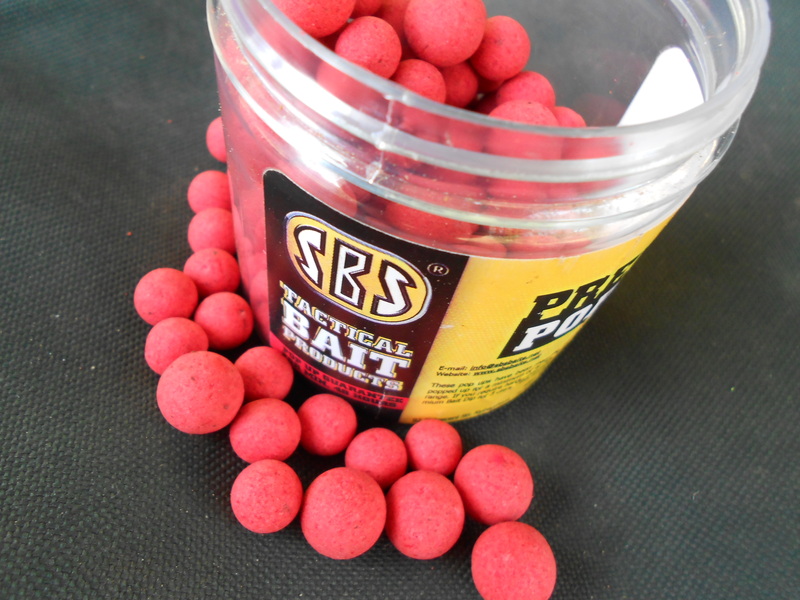 Fishing 14mm M2 pop-ups, I cast one into the boat channel and the other off the far bank, and threw in a handful of multi-mix proactive pellets and broken boilies. And settled back and waited. An hour or so into the session the rod just off the bank came alive as the hanger shot up and a solid blue light and peeling line let me know that at least I hadn’t caught a bream. 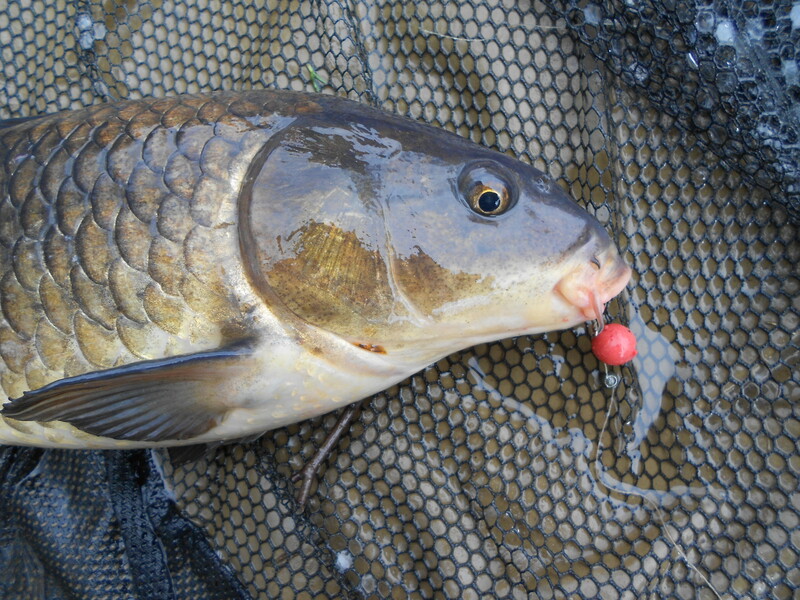 After a very feisty battle I eventually found myself netting the second carp of the week. Not a big fish, but apart from everything being relative anyway, the success in carp fishing my local canal is not in the size but the capture. That’s why I can get excited over a small carp! And as you can see from the photograph below, it was lively out of the water as well as in it. That’s why when posing for fish pictures, always position yourself low on the ground with the unhooking mat directly below you. So in the event that the fish does flap you can simply lower it with the minimum of fuss. Standing up is not the way to go even though you see lots of pictures on the internet in that position. But as always I make these comments in an educational approach rather than a judgemental one. On my canal carp sessions if I get one fish I’m buzzing so to net a second less than two hours into the morning was amazing. After struggling for carp so far this week, it came good at the end. In fact it got even better as I banked a third fish three hours in. And I’ve never caught that many in a single canal session before, so that gives you an idea of the stock levels of the places I fish. And they all came from the far bank as well, with the boat channel rod fish-less. Just metres apart, it just goes to show how location is really important.